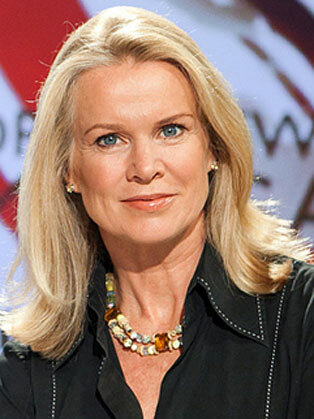 Katty Kay grew up in various Middle East countries, where her father was posted as a British diplomat. She studied Modern Languages at the University of Oxford and speaks fluent French and Italian. After graduation, she briefly worked for the Bank of England. Deciding a career in Economics was not for her, she left to work for an aid agency in Zimbabwe. A short time later, friend Matt Frei came out with a tape recorder and persuaded her to become a journalist. Kay joined the BBC in 1990 as Zimbabwe correspondent for the African section of the BBC World Service. She then returned to London to work for BBC World Service radio, before being posted to Tokyo for BBC News television in 1992 and then Washington, D.C., in 1996. Soon afterwards, she joined The Times news bureau, but returned to the BBC as a freelance journalist in 2002, based in the United States. From June 2004, Kay co-presented the BBC World news bulletins with Mike Embley in London, shown on 230 public broadcast-television stations throughout the US. More recently Kay also makes frequent appearances as a guest panelist on The Chris Matthews Show and Meet the Press on NBC and in the past also appeared on Larry King Live on CNN.